I have sold a property at 1612 HEMLOCK PL in Port Moody. Please visit our Open House at 1612 HEMLOCK PL in Port Moody. Beautiful updated family home in sought after Mountain Meadows. As soon as you enter, you will feel the love and care given to this home. An ideal floorplan which features a lovely living rm with soaring ceilings, spacious dining rm for those special family gatherings, bright kitchen that overlooks the cozy family rm and eating area which opens to the extra large deck with gorgeous Mt. Baker views. The rec room on the main floor is a real bonus - a perfect space for the kids. Upstairs are 3 bdrms, plus a den and an open flex area. The bsmt is complete with a self contained suite with a separate entrance. All this plus a large beautifully manicured lot located on a quiet family oriented street. Open house Sat 1pm-3pm. Beautiful updated family home in sought after Mountain Meadows. As soon as you enter, you will feel the love and care given to this home. An ideal floorplan which features a lovely living rm with soaring ceilings, spacious dining rm for those special family gatherings, bright kitchen that overlooks the cozy family rm and eating area which opens to the extra large deck with gorgeous Mt. Baker views. The rec room on the main floor is a real bonus - a perfect space for the kids. Upstairs are 3 bdrms, plus a den and an open flex area. The bsmt is complete with a self contained suite with a separate entrance. All this plus a large beautifully manicured lot located on a quiet family oriented street. Open house Sat 1pm-4pm. I have listed a new property at 1612 HEMLOCK PL in Port Moody. Beautiful updated family home in sought after Mountain Meadows. As soon as you enter, you will feel the love and care given to this home. An ideal floorplan which features a lovely living rm with soaring ceilings, spacious dining rm for those special family gatherings, bright kitchen that overlooks the cozy family rm and eating area which opens to the extra large deck with gorgeous Mt. Baker views. The rec room on the main floor is a real bonus - a perfect space for the kids. Upstairs are 3 bdrms, plus a den and an open flex area. The bsmt is complete with a self contained suite with a separate entrance. All this plus a large beautifully manicured lot located on a quiet family oriented street. Open house Sat and Sun 1pm-3pm. I have sold a property at 1303 CAMPION LANE in Port Moody. Please visit our Open House at 1303 CAMPION LANE in Port Moody. This is a special one. The original owners have lived in & meticulously cared for this home, and pride of ownership shows. 2669ft2 on 2 levels, w/ 3 bedrooms + 2 full bathrooms up, + a stunning living room w/ a gorgeous sloped cedar ceiling, wood burning FP, a spacious dining room, clean & functional kitchen w/ a cozy family room off to side, and a generous sun deck with room for entertaining & bbqs. Great views. Fully finished lower level w/ a 3pc bth, large laundry room & potential to add a bedroom or suite. 6289ft2 corner lot. List of updates include: 30yr cedar roof (2010), all high-quality windows (2009) heat pump/AC & furnace (2005), concrete driveway & stairs (2015), + much more. Steps to Mountain Meadows school, transit. A true must see. OPEN HOUSE: Sept 30, 12-1:30 & Oct 1, 2-4. This is a special one. The original owners have lived in & meticulously cared for this home, and pride of ownership shows. Over 2600ft2 on 2 levels, w/ 3 bedrooms + 2 full bathrooms up, + a stunning living room w/ a gorgeous sloped cedar ceiling, wood burning FP, a spacious dining room, clean & functional kitchen w/ a cozy family room off to side, and a generous sun deck with room for entertaining & bbqs. Great views. Lower level is fully finished with a 3pc bth, large laundry room - lots of potential here. 6289ft2 corner lot. List of updates include: 30yr cedar roof (2010), all high-quality windows (2009) heat pump & furnace (2005), concrete driveway and stairs (2015), and more. Steps to Mountain Meadows school, transit. 1st showing @ sneak peek: Sept 21 4:30-6. OH: Sept 23+24, 2:30-4:30. Open House. Open House on Saturday, September 23, 2017 2:30PM - 4:30PM Please note open begins at 2:30, not 2:00. Open House on Saturday, September 23, 2017 2:30PM - 4:30PM Please note open begins at 2:30, not 2:00. Open House. Open House on Sunday, September 24, 2017 2:30PM - 4:30PM Please note open begins at 2:30, not 2:00. Open House on Sunday, September 24, 2017 2:30PM - 4:30PM Please note open begins at 2:30, not 2:00. I have listed a new property at 1303 CAMPION LANE in Port Moody. I have sold a property at 1207 NOONS CREEK DR in Port Moody. I have listed a new property at 1207 NOONS CREEK DR in Port Moody. Please visit our Open House at 1207 NOONS CREEK DR in Port Moody. I have sold a property at 1306 CAMELLIA CRT in PORT MOODY. Spacious rancher with full basement on quiet cul-de-sac backing onto greenbelt. Great location tucked away just off Noons Creek. Newer roof & double garage. Open kitchen, loads of white cabinets, gas cook top & wall oven. Organized laundry. Breakfast nook & family room with gas fireplace. Bring your ideas! Unfinished basement has separate entrance and is easy to suite. Walk to schools. 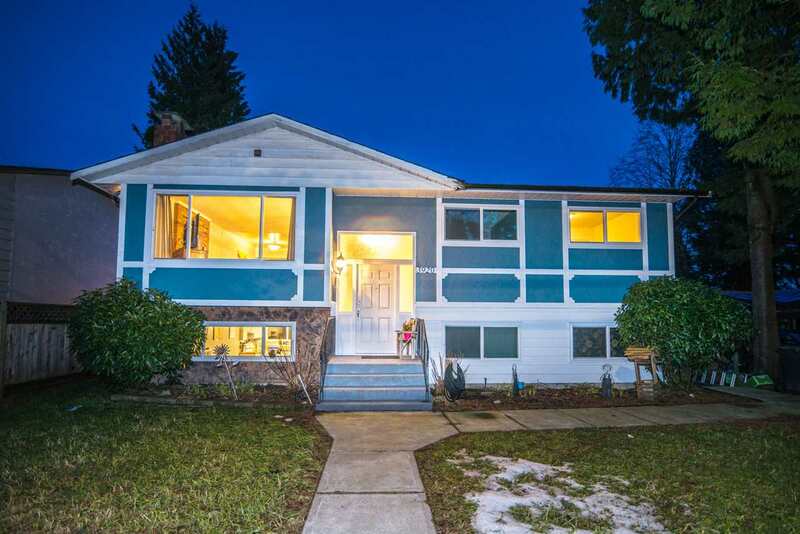 Close to Newport Village, Suter Brook, Rocky Point & Evergreen line. I have listed a new property at 1306 CAMELLIA CRT in Port Moody. Spacious rancher with full basement on quiet cul-de-sac backing onto greenbelt. Great location tucked away just off Noons Creek. Newer roof & double garage. Open kitchen, loads of white cabinets, gas cook top & wall oven. Organized laundry.Breakfast nook & family room with gas fireplace. Bring your ideas! Unfinished basement with separate entrance is easy to suite. I have sold a property at 1102 BARBERRY PL in Port Moody. Fantastic Mountain Meadows home! Beautiful private fenced yard with hot tub and gazebo. 4-level split home boasts large, bright kitchen, 2 separate living spaces and spacious dining room. Upstairs has huge master suite, complete with fullensuite and walk-in closet; 2 more bdrms, computer nook, and full bath. 1 minute walk to Mountain Meadows Elementary! Close to Newport Village, Buntzen Lake, Rocky Point park, and everything else Port Moody has to offer! Open house Thursday April 16th 6-8pm & Sunday april 19th 2-4pm. Come By!